Raising sons and daughters to release and extend the kingdom of God all over the world. The warmest of welcomes to you! We are a diverse melting pot of people hailing from all parts of the world and all walks of life. Here you'll feel at home, you'll find family and you'll find friends. There is no shortage of conversation or new people to connect with. We are a community who loves to do life and pursue God together. We are unshakeable in our belief that He is good - all the time. Come along and join us - we can't wait to meet you! Bernard is the pastor of our church. 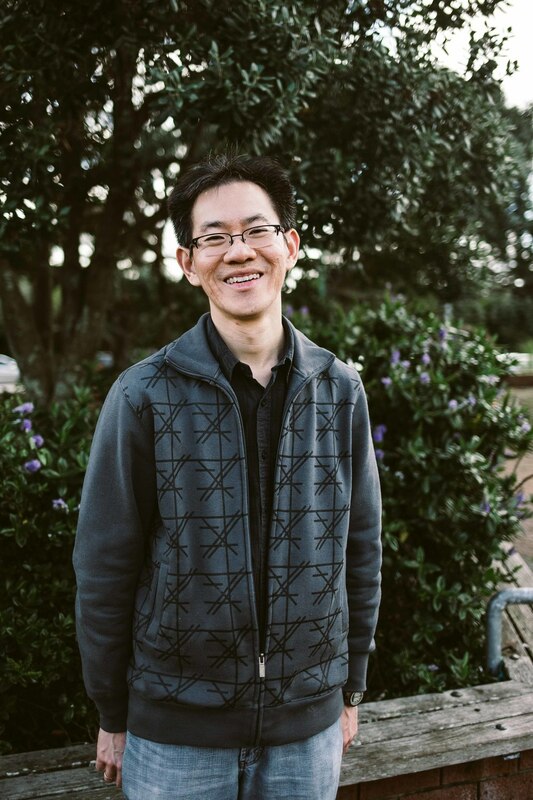 He and his family have been a part of the Hope International Ministries movement for more than 20 years in Thailand, Taiwan, Singapore and now New Zealand. He is a mentor and father figure to many with a passion for the local community as well as the business arena. He is married to Angela and a proud father of three young adults. Alongside her husband Bernard, Angela is one of our senior leaders. She is the founder of Hope School of Supernatural Ministry and spends much of her year travelling the world speaking at conferences on the Father's love, identity and destiny. She loves equipping believers. Angela also heads up our intercessory ministry. Hailing from Ghana, Kwadwo is an avid community-builder, particularly amongst young working adults, newlyweds and young families. He is married and dad to two littles. Li Hsien is originally from Malaysia and is a brilliant mind. He is a strategic leader with a keen zeal for studying and teaching the Bible. He is husband to his equally brilliant wife and dad to their 2 little girls. A New Zealander of Scottish descent. 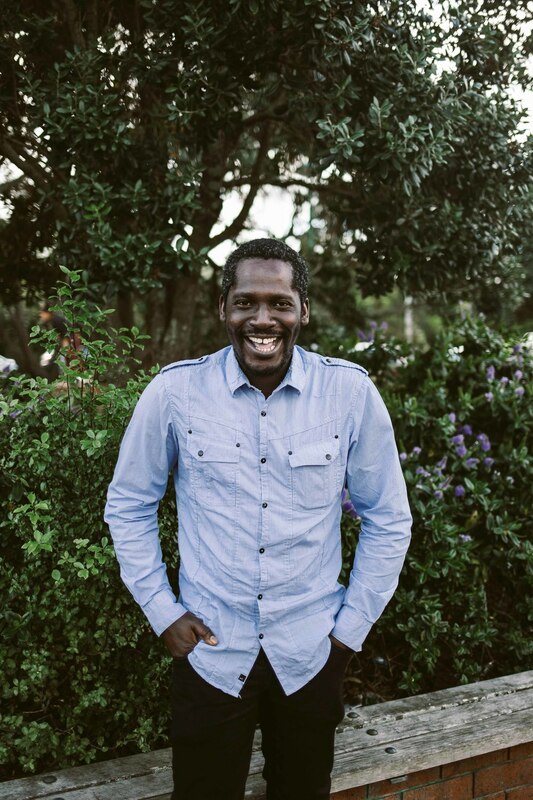 An intercessor passionate in seeing God’s Word take its place in New Zealand as it once was. He loves to intercede and encourage people to grow and mature in Christ. Rod is married with two children and five grandchildren. David is a research scholar and loves to explore innovative ideas that can benefit humanity. He believes as Christians and children of the Kingdom, we are meant to dominate in this world by reflecting the character of Jesus and His Kingdom. He is married to Joy, and a gracious dad of two wonderful kids. We believe the Kingdom of God is about covenantal relationships with fathers and mothers, sons and daughters connected and belonging together living in enriching family life. We are to live from God’s presence and be worshippers who minister to the Lord. God’s presence is covenanted with us and is in us and released through us. We celebrate God’s goodness over our lives because of the complete and finished work of Jesus. God’s goodness is poured into our lives and manifests through us. The Bible is the inspired and only infallible and authoritative Word of God. The truth of the Word of God sets us and others free. We are Holy Spirit empowered. We are empowered to be creative, to do everything excellently, to make disciples, church plant and develop powerful leaders. As chosen sons and daughters of God we have access to heaven. God’s love for us gives us significance. Royalty is our identity, servanthood is our assignment and intimacy with God is our life source. We honour all people not because they deserve it but according to the value God has for them. We are honourable people made in His image. We choose to cultivate honour and high levels of respect in all relationships even in disagreement. A culture of honour releases life. We believe in every word of the Old and New Testaments as originally given, and that God inspired humans to write it without error. The Bible is the Word of God. It is the absolute truth and, therefore, is the standard of faith as well as the ultimate handbook for every aspect in a believer's life. We believe in Jesus Christ, the Son of God, who was supernaturally conceived by the power of the Holy Spirit and born of the Virgin Mary. Whilst on earth, He was both perfectly God and perfectly man at the same time, and was without sin. He was crucified on the cross and physically rose from the dead on the third day to fulfil the will of the Father to provide salvation from sin to those who believe in Him. He ascended physically to heaven and is seated at the right hand of the Father. One day in the future, He will come again to establish His kingdom. We believe God created angelic beings for His service. They are supernatural, but not divine. The Bible teaches that Satan, together with the many angels that follow him, are evil, supernatural, angelic beings, and that there is a spiritual kingdom on earth under Satan's authority opposed to God and His plan. Satan's kingdom is at war with God's kingdom. The death and resurrection of Jesus on the cross defeated Satan and enables all men and women who put their trust in Jesus to join God's kingdom. The Church has been commissioned to rescue men and women from Satan's kingdom to God's, a task which will conclude when Jesus returns. God will ultimately triumph when Satan's rule is terminated and his kingdom destroyed. We believe that we can be saved from God's wrath when we confess and repent from sin and place our trust in Jesus Christ. Salvation is given by the grace of God only on the basis of Jesus' sacrifice for sin when He died on the cross and cannot be achieved by a person's own works. At the point of salvation, an individual becomes a new creation in Christ. Through obedience and faith, a Christian is gradually transformed to become more like Jesus. We believe that the dead will be raised and everyone will have to give an account before God. All those who have put their faith in God will receive their reward and live eternally with God in heaven. On the Day of Judgement, the remainder will be judged and receive eternal punishment in hell. We believe that Christians must worship the Lord in spirit and in truth. Worship is acknowledging the worthiness of God and opening our hearts to relate to Him. Worshipping according to biblical patterns allows us to use outward expression to come close to God. Some of these expressions of worship include worshipping with other Christians, using musical instruments, singing, and exercising the gifts of the Holy Spirit. We believe it is normally God's will for all mankind to be whole and healthy, both physically and spiritually. The Church is vested with the authority of Jesus Christ to bring a ministry of healing in every possible way, that is, both through the power of God and through medical knowledge and expertise, as part of the manifestation of the love of God for all mankind, which God desires to bring through His church. We believe in the one true and eternal God, the Creator of everything. God is One, but exists in Three Persons: the Father, the Son, and the Holy Spirit. Though they are co-equal, co-existent, and co-eternal, they play different roles in human history, working together in creation, revelation, redemption, and the final judgement. We believe that the Holy Spirit is God who convicts people of sin and leads them to repent of their sin and place their faith in Jesus for salvation. He dwells within believers to enable them to lead holy lives and obey God's will. We believe that all the gifts of the Holy Spirit mentioned in the Bible remain in the Church today and should be fully exercised to build up the Body of Christ. The baptism of the Holy Spirit, an experience distinct from repentance and faith in Jesus for salvation, enables Christians to testify of Christ in the power of the Spirit. Speaking in tongues is the normal initial sign of being baptised in the Holy Spirit. In the Christian life, every believer must live in obedience to Christ and be under the covering of the Holy Spirit. Christians should always be filled with the Spirit. We believe that God created man in His likeness and without sin, but they sinned willingly. As a consequence, sin entered the world and all mankind has inherited a sinful nature. Since everyone has fallen short of God's standard because of sin and is subject to God's wrath and condemnation, they all need His salvation, which is made possible through the death of Jesus Christ; otherwise, they will be judged and punished eternally in hell. We believe that the church is the community of God's people and is central to God's plan of salvation. Once we become Christians, we are adopted into God's family and become part of the Universal Church, made up of Christians of every age. Local churches are made up of believers who regularly meet together in different localities to worship, listen to the Word of God, fellowship, witness, participate in communion, pray, and have other activities together. We believe that every Christian should be committed to a local church. We believe that all Christians should be water baptised in obedience to Jesus' command and as a public testimony of their commitment to follow Him. Water baptism is the immersion of a person completely in water as a symbol of the death, burial, and resurrection of Jesus. Communion is for Christians to remember Jesus by partaking of bread and wine as symbols of the flesh and blood of Jesus and the covenant God has made to bring salvation through faith in Christ. It is practised in obedience to the command of Jesus and can be celebrated as often as believers gather together until Jesus returns.